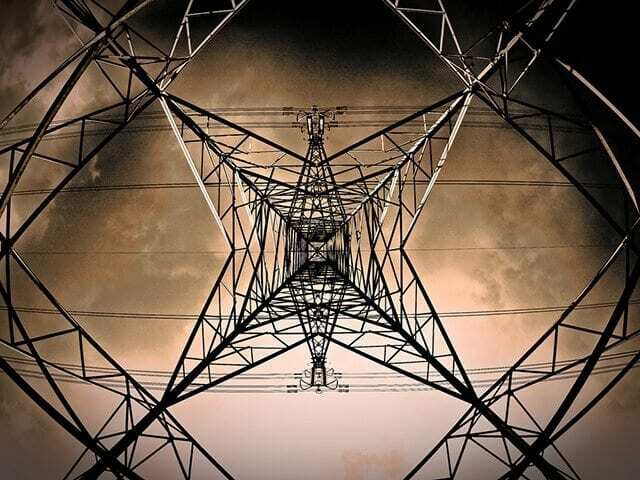 Advancements in device connectivity and the continued decrease in distributed generation equipment costs are changing the electricity industry. Both of these trends are enabling participation in the electricity market from behind the customers’ meters. As these trends take off, utilities, regulators and system operators will need to quickly adapt their strategies. It is estimated that by 2020 more than 50 billion devices that either work by electricity or produce electricity will be Internet enabled. One recent example of the impact that Internet connectivity is having on the electricity industry is NEST Labs, a company that has developed a thermostat that automatically adjusts to a home’s conditions and can receive commands from users via other devices. If an algorithm can be run to shut down a few hundred or even thousands of thermostats that are running off of the same electric utility equipment, the ability to prevent equipment overload and to reduce the need for additional generation is very real—and lucrative. It’s understandable, then, why Google would spend $3.2 billion on NEST, especially when you factor in the value of displacing a few gas-powered peaking plants. In a capacity-driven electricity market—where you get paid for having the ability to increase supply or to reduce demand—the idea that manufacturers of smart appliances are able to bid into the market and share the service income with its participants is an interesting one. A capability that was once left up to electricity generators that are paid to have capacity at the ready can now be taken over by a device manufacturer at net zero marginal value. The utilities have never been in competition like this before; it’s impossible for them to invest enough money to keep up with the innovations that are coming from younger, more tech-savvy companies. If an appliance manufacturer wants to bid the collective energy-reduction capability of its consumers into a capacity-driven electricity market, it could share the resulting revenue with those consumers. Behind the meter, control will start to shift consumer relationships away from utility companies. At the same time as we’re seeing behind-the-meter control, we’re also seeing the cost of solar energy dropping to a point where grid parity exists in many regions today. Photovoltaic panels cost 50% of what they did three years ago. Over the past year, large corporations installed more than half a gigawatt of rooftop solar panels. Homeowners who can deploy the capital required to finance these solar energy systems are also doing so and are using the utility’s infrastructure to sell the power and make a return on their investment through feed-in-tariff programs. Many of these programs will expire around the same time that energy storage will have come down in price to the point where all of those installations are well positioned to shift to self-generation. Those who can do so will finance the additional capital for energy storage and use the intelligence of their home automation systems to optimize its use. While utilities are faced with the challenges of less revenue, grid infrastructure will still need to be maintained. As a result, grid electricity prices will rise and the cost burden will be left to those who can least afford it: those who cannot finance the capital required for self-generation. Without the revenue utilities require to renew grid infrastructure, the reliability of the electricity supply will inevitably deteriorate for those who still depend on an underfunded and over-100-year-old system. Although this level of infrastructure disruption seems further away in industries such as transportation and water, the speed of change in the electricity industry will also increase the pace of change in those industries as new possibilities for convergence are discovered. For example, if you can use the energy storage in your car to eliminate the investment in home energy storage, the economics of self-generation will be more readily achieved in the future. Behind-the-meter control and the participation of consumers in the electricity market, in combination with the continued decrease in distributed generation equipment costs, will impact what the utilities of the future look like. The challenge lies in adapting the current infrastructure and markets to better enable utilities, regulators and innovators to work together and to take advantage of the coming changes.